Kevin A. Shannon joined Newmark Knight Frank in December 2015 as Co-Head of U.S. Capital Markets. In this role, Mr. Shannon leads a team of 15 professionals focused on the disposition and acquisition of investment properties on behalf of both domestic and offshore investors. Over the past 20 years, Mr. Shannon has sold and marketed more than $45 billion of office, industrial, self storage, retail, land and mixed-use assets. His experience includes 100% fee simple, partial interest recapitalizations and joint venture transactions. Mr. Shannon has spent his career helping clients structure transactions to best meet their goals. Notably, he brokered the largest office sales in the Western United States in 2010, 2011 and 2012 and the second-largest in 2013. The 2012 sale, in which Amazon.com headquarters traded hands for $1.6 billion, was also the largest commercial sale in the country. Mr. Shannon joined Newmark Knight Frank after nearly nine years at CBRE, where he served as vice chairman and managing director for the West Coast Institutional Investment Group and leader of Western United States Office Vertical. During his tenure, Mr. Shannon was the firm’s top producing salesman on the West Coast in 2006, 2007, 2008, 2011, 2014 and 2015. Prior to CBRE, Mr. Shannon served from 1999 to 2005 as a senior vice president with the Institution Investment Group of Grubb & Ellis, now a part of Newmark Knight Frank. He was that firm’s top-producing broker nationally (all business lines) from 2003 to 2005. 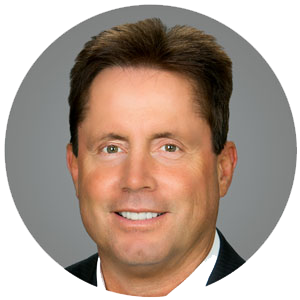 Mr. Shannon began his real estate career at Colliers Seeley in 1983, where he rose to managing director and partner in the Investment Division and was the company’s top aggregate producer from 1990 to 1999. Mr. Shannon attended the University of Southern California from 1976 to 1981 – Emphasis in real estate finance and development.